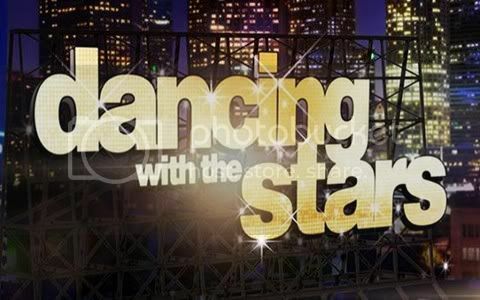 Quick Take: Dancing With the Stars 14, "Week 10"
Review: Dancing With the Stars 14, "Week 10"
(S1419) What has definitely been one of the most exciting seasons of Dancing With the Stars is coming to a close. On Monday night -- the first night of the two-night finale -- the three remaining couples hit the dance floor with a do-over of one their earlier dances and the ever-exciting freestyle dance. Up first were William and Cheryl who had a visit from Bruno during their week of rehearsals for help in perfecting their cha-cha, which they performed during the first week of competition. William has definitely come a long way. I remember after watching his first dance I honestly didn't think he would make it far in the competition but he has definitely put the work in to become one of the best dancers. All three judges loved it and William and Cheryl received a thirty compared to the twenty-four they received the first time they danced the cha-cha. Their freestyle was nothing to rave about. Instead of pushing William out of his comfort zone Cheryl choreographed a dance that was a combination of the salsa and tango with some lifts. As Len said, it was predictable. There was nothing about it that wowed me. We already know that William is a great Latin dancer; it would have been nice to see him do something different to actually prove that he learned something over the ten weeks of the show. Carrie Ann and Bruno each gave them a ten while Len scored them with a nine. They ended the night a combined score of fifty-nine out of sixty. Katherine and Mark performed the paso doble for their first dance; they initially performed it during Rock Week and the judges felt it was too harsh. This time around it was much more refined and toned down. Bruno felt that it was full of vivid and lustrous artistry and that it was technical brilliance. All three judges were in agreement as Katherine and Mark earned a perfect thirty. For their freestyle, Mark choreographed a dance that was a mixture of quickstep, jive and lindy hop. It was fun and cute although some of the lifts did look a bit sloppy, which is understandable considering the speed in which they were dancing. Bruno thought it was fast and flamboyant, Carrie Ann said it was the dance of a champion and Len declared that it was a freestyle. Overall they earned another perfect score and ended the night with a sixty. And finally there was Donald and Peta who performed their Argentine Tango once again. While I preferred the version they performed the first time, this go around their tango was more intense. Carrie Ann loved it and while Len thought that they played it safe he did feel that it was an improvement from the last time. With Len's nine and Carrie Ann and Bruno's ten they earned a twenty-nine. Their freestyle was the best of the night. They did a country inspired routine that had Len clapping and Carrie Ann dancing on the judge's table. The energy from the dance reminded me of the freestyle from Hines Ward and Kym Johnson from a few seasons back - they ultimately ended up winning the Mirror Ball trophy. There was praise all around from the judges. Carrie Ann said it was her favorite freestyle of the night, Len said that they took a chance that worked and declared it was fantastic and Bruno said it was a country inspired triumph. Overall, they earned a thirty to finish the night tied with William and Cheryl with a fifty-nine. Donald finally got that ten from Len that he so coveted. It's anyone's guess who will raise the Mirror Ball trophy in triumph on Tuesday night, but, if what they say is true - the freestyle dance wins the competition - then my bet will be on Donald and Peta.